The IFA is an established charity (327290) and was the first official governing body for the Clinical Aromatherapy profession since 1985. Our role is to offer to the public the highest standard of training and because our training courses are of the highest professional standards. Our therapists are often involved in research projects and in the early days of our history helped pioneer complementary therapies in the NHS and Social Services. Back Pain is something that will probably affect nearly everyone at some point in their lives. Some people will occasionally experience back pain while for other, it can be a curse both physically and emotionally and stay with us for many years. It may come and go, by day, week, month or even years. The cause can vary from injury, certain activities, occupational, poor posture, genetics and even stress. 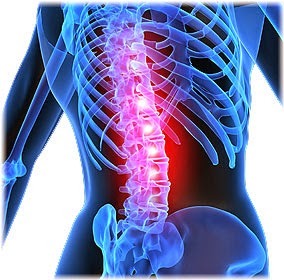 Other diseases such as Cancer, Osteoporosis and Arthritis can also cause back pain and discomfort. So it is vital to establish the cause of your back pain, whether through diagnostic or through the process of elimination and not just for your own peace of mind, but also to determine a safe and effective way of treating the problem. Whatever the cause the result is often pain and discomfort! 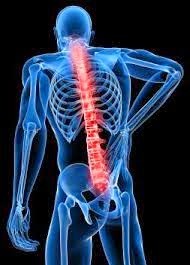 Many people will live with back pain that never really leaves them and if it does, then only for a few hours and often because they may have rested, or done certain exercises or even taken medication to ease the pain! Learning to live with back pain, can almost become a full time job, especially if it prevents you from sleeping. Regardless of sleep, the pain can cause on - going fatigue, which is quite common for anyone enduring pain for any length of time. Modern day life allows us to sit down for long periods of time: at work in the car in front of the TV and now in front of computers, laptops, ipads and iphones. The activity of sitting down for too long is probably where some of the problems may have started. Along with little exercise and not strengthening our core abdominal muscles, especially when we are younger, may well lead to back problems in later life. Even wearing the wrong kind of footwear especially for young girls can lead to back problems. Thus, making sitting down for any period of time a problem. Carrying out daily activities such as house hold chores, gardening or even just getting dressed, bending down to put on shoes and so on, can be an unpleasant experience because of the discomfort it can cause. All work environments provide safe working conditions to accommodate and of course try to prevent employees sustaining/agaggravating any type of injury and or condition. Any type of work station whether at home or in a workplace can be adjusted to accommodate the user. Of course Keeping mobile and active is important, walking can be a very effective exercise in the combat to ease back pain and the associated problems. Not staying in the same position for any length of time is equally important to prevent back and other health problems. Recent studies have shown that one of the biggest causes of people being away from the workplace in the UK, is due to back pain! Millions of days each year are lost due to back pain and other muscular skeletal disorders. Using Therapists such as a Physio and Osteopath have become common practise and there are now even Apps you can download that give advice about back pain and how to manage it. Many of us will have clients who have or have had back pain, indeed many Therapists can suffer back pain too. As Aromatherapists we know how effective Aromatherapy treatments can be, in dealing with pain and some of the other causes and symptoms, such as inflammation, poor posture that comes about through compensating an injury along with the pain and discomfort and stress that this can cause. Since the Nervous System is key to our spinal column this can cause other problems and ailments such as stomach upset, headaches, blurred vision, numbness, tingling, feeling tired and stressed and so on. This may also depend on where in the spine or which vertebra is effected if that is the case. Either way these symptoms can be worrying. Aromatherapy massage in itself is a soothing, relaxing treatment that can aid stimulation of the circulatory and calm the nervous system. The essential oils however, can play an important role to help primarily with the analgesic effect of the pain, relax the muscles and ligaments to reduce the effects of spasm and inflammation - a common cause of back pain, plus promote healthy sleep. Thus this can have a positive effect on the other systems of the body, and so a calming effect on both the physiological and emotional well-being. So whether your back pain is acute or chronic, there are many oils to help with the pain and the various associated symptoms. Juniper Berry anti-rheumatic, anti-spasmodic, nervine, rubefacient, excellent for eliminating toxins from the body and can help to strengthen the nervous system. Sweet marjoram analgesic, anti-spasmodic, a warming oil that eases tight muscles especially in lower back pain, a sedative. Remember to always check your client's medical status to ensure they have no contra-indications to the oils you are going to use, or are pregnant. A combination of any of the above oils, plus many others that also contain the above properties to help with back pain and the pain plus associated symptoms, can have a powerful and positive effect for the client. So while a Chamomile is calming and promotes sleep it also contains analgesic and anti-inflammatory properties. Don't forget to encourage your client to use the oils effectively at home, in between treatments, either in a blend which they can apply to the affected area or for bath time. A warm bath using essential oils can be an excellent way to ease the effects of back pain, especially before bedtime in order to relieve pain and stress and encourage a good night’s sleep. Using oils in a warm compress and applied directly to the affected area can reduce swelling, inflammation and ease pain rapidly. Remember prevention is better than cure but managing our health, especially where pain and our backs are concerned is equally important. Please note: If pregnant or suspect you maybe pregnant or suffer with a medical condition consult your G.P. or qualified Aromatherapist for advice before using essential oils. Do not apply essential oils neat to the skin, always use with caution. If you would like more information about professional aromatherapy, are interested in training to become an aromatherapist or would like to find a qualified aromatherapy practitioner in your area please go to the International Federation of Aromatherapists (IFA) website at www.ifaroma.org or email at office@ifaroma.org. 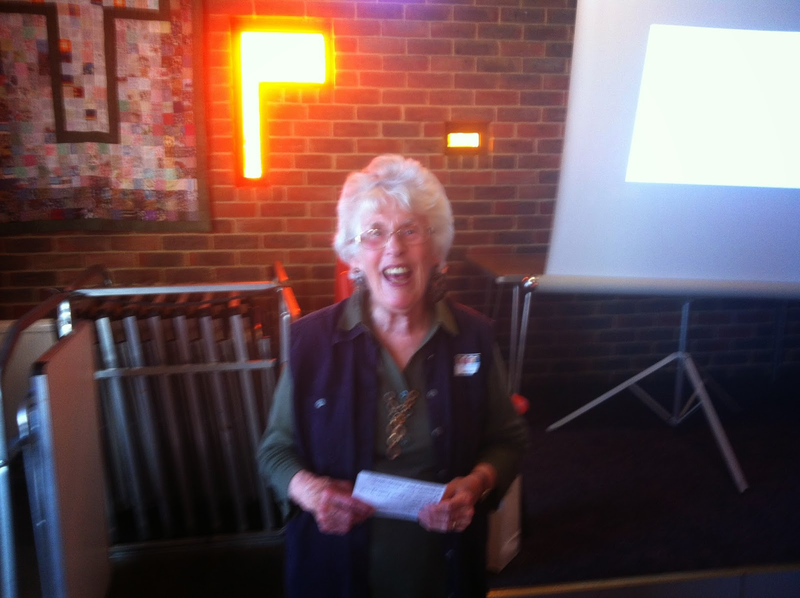 With love and gratitude from Ann and the Thanet Therapists 'Group. 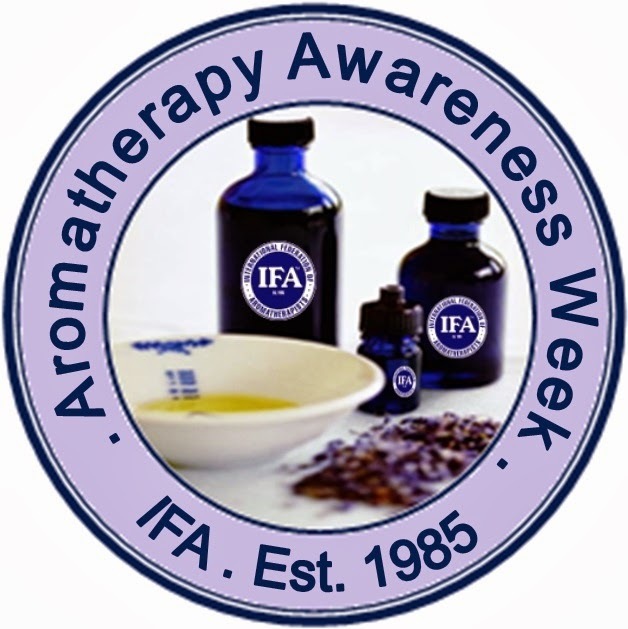 This will be the sixth year that we have sponsored Aromatherapy Awareness week and for the first time we shall be using a specific theme to gain even more interest. It would appear that 1 in 6 people suffer from back pain in the UK and it is the biggest cause of absent days from work in the UK next to stress. 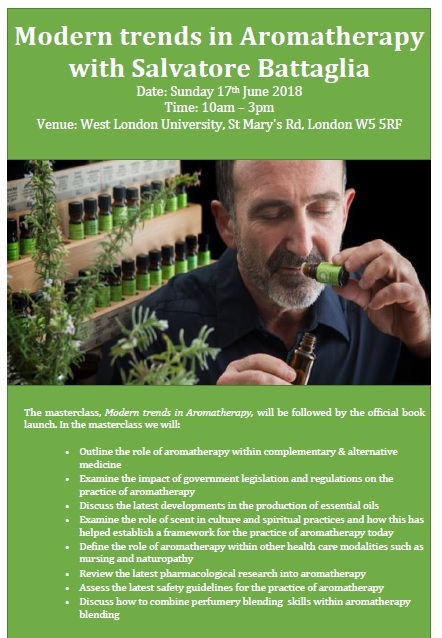 This is an ideal opportunity therefore to demonstrate our skills in this area and get the word out there about the benefits of Clinical Aromatherapy particularly the IFA brand of Aromatherapy. We shall of course be promoting the Week in the National Press but you as members could also use this opportunity to promote your own practices locally via your local press and radio stations. In addition, because of the effects of lost days on business due to back pain, the Week could provide an ideal opportunity to approach corporate clients with a view to treating their employees. Having decided on what you will do, you will then need to write a press release. A press release template specifically for this Week is available from the IFA office. As you will see from the template, it is important to keep the information very concise. All you need to do at this stage is to get the attention of the journalist. You can then either telephone the Editors and ask them if they would be interested in your story, or you can email the press release directly to the Editor. Most publications are always hungry for real news so don’t be shy – this is real news and making personal contact is always more effective. If you do telephone make sure you have all the facts to hand that they might ask you about Aromatherapy Week and Aromatherapy in general. The office has a bullet point sheet which is useful, not just for contacting the press, but also if you are going to be giving talks or demonstrations. We are often asked ‘Is there sufficient proof that Aromatherapy works?” The IFA website has several research papers on Back Pain as well as many other associated conditions. Although we have a few months before the actual Week, you will need to start thinking about it now. In terms of when to actually send out the press release: for weekly newspapers, you could contact them a month before; radio stations, a couple of weeks before. Local magazines will depend on how frequently they appear. If they are quarterly then you will need to contact them as soon as possible. By giving the press sufficient notice it opens up the opportunity for them to do a more in depth feature for Aromatherapy Week. The IFA office has a range of products i.e. leaflets, posters, smelling strips etc. to help reinforce and support your event. Good luck and we hope you take this opportunity to make Aromatherapy Week exciting and fun both for you and the IFA. Please let us know what you plan to do so that we may incorporate it into the IFA publicity and information.